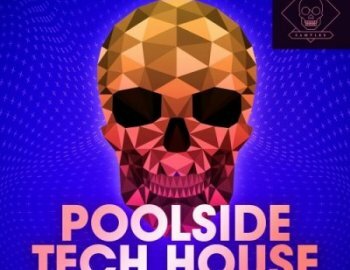 'Poolside Tech House' by Skeleton Samples brings you a huge array of sounds to create majorly cool and upbeat tracks that will get your listeners moving. If you're looking for warm grooves and feel-good Tech-House with epic drums to get that party started then you've come to the right place. This collection provides arps, bass, drums, FX, synths, and more. Add it to your library for some sonic enhancement. If you like the groove but are not keen on the sound then don't worry! The pack also includes the MIDI for all melodic parts giving you maximum control to create that Ibiza-inspired, warm sounding Tech-House record you've always wanted to put out.